We’re headed in to the “soft opening” of the 2014 Epcot Food and Wine Festival today, and we’re gathering some v. cool news that we want to share with our readers! 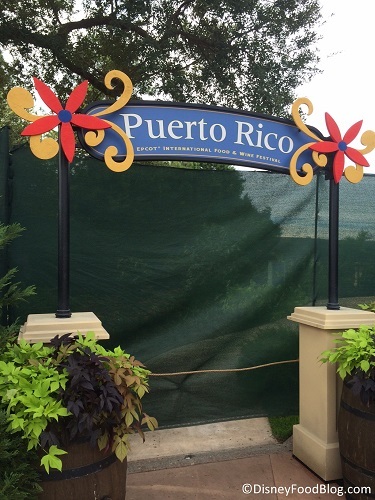 Stay tuned the rest of this week for fun news and live updates as well as updated food pictures from the World Showcase Marketplace Booths! Remember, like, two years ago when Disney said they were going to do a “lounge” in the Odyssey Center during the Food and Wine Festival…and it never happened? Well, this may be the year! The Odyssey Center is typically only open for private events, but we’ve seen it used as an event space during past Festivals. 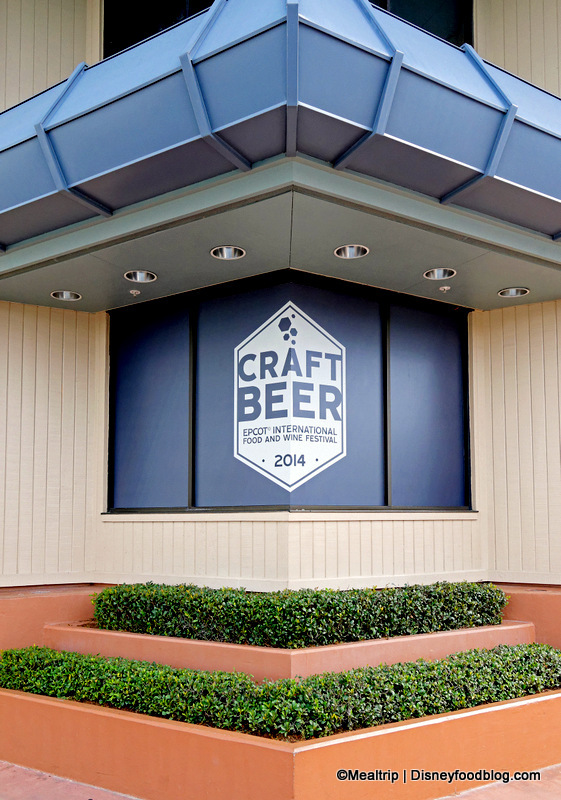 This year, they’ve moved the entire Craft Beer booth into the massive space! In addition to a new locale, the booth adds food this year as well! Check out the new menu here. 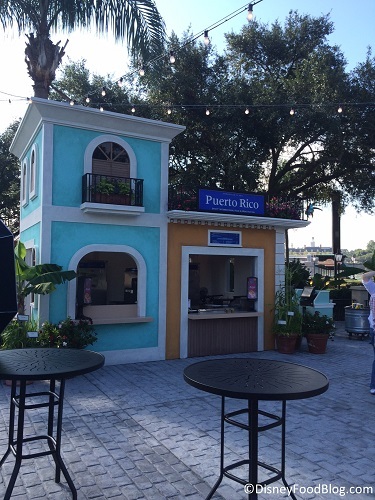 The Puerto Rico booth has a new design — it’s two stories tall! In fact, it has a whole new “area” to call its own! Here’s the entrance arch. Everything was still behind scrims as of yesterday, but here’s a glimpse at the new booth! The new structure is in the middle of an immersive space (similar to the beer garden area in Germany) showcasing tropical plants. More to come! 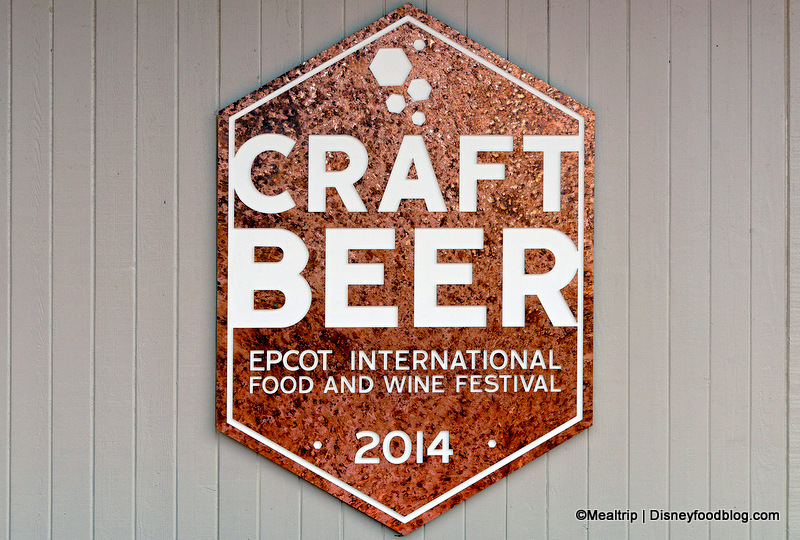 Stay tuned to our updated 2014 Epcot Food and Wine Festival Coverage for even more news and details! 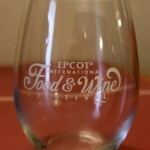 Want More Details About the 2014 Epcot Food and Wine Festival? We are always working to bring you all of the latest and most important news and updates on the 2014 Epcot Food and Wine Festival right here, so stay tuned for details and check out all of the info below! Be sure to join our Disney Food Blog Newsletter for the latest information and details. And keep an eye on our 2014 Epcot Food and Wine Festival Page for updates. 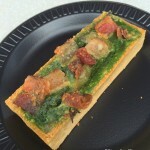 2014 Epcot Food and Wine Festival Booth and Menu Index — and FOOD PHOTOS! 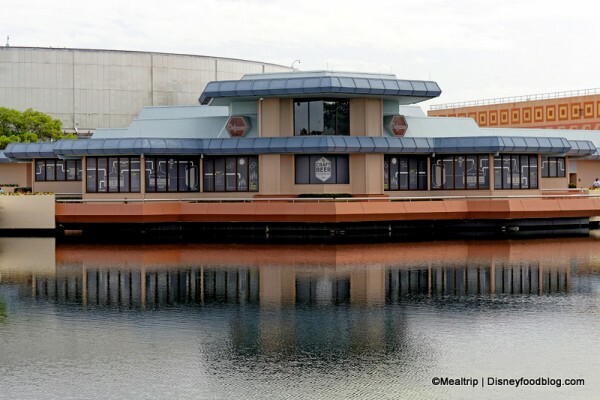 2014 Swan and Dolphin Food and Wine Classic: Menus, Booking Info available! To book all special events and demonstrations, call 407-WDW-FEST (939-3378) starting July 31 at 7AM ET. 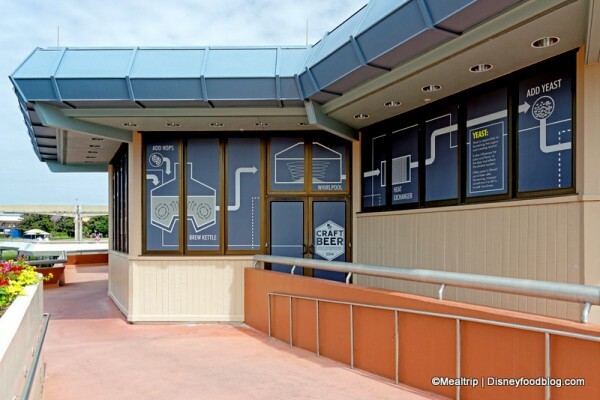 Culinary Demonstrations, Beverage Seminars, Mixology Seminars, and general admission for some special events will be bookable online at www.epcotfoodfestival.com. Tables in Wonderland members, Annual Passholders, Disney Vacation Club Members, and Golden Oak Residents are eligible for a $2 discount (per person, per event) for beverage and mixology seminars and culinary demos taking place Mon-Thurs during the festival. Discounts are by phone at 407-WDW-FEST (939-3378). 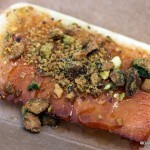 Stay tuned to DisneyFoodBlog.com and the Disney Food Blog Newsletter for details. News! 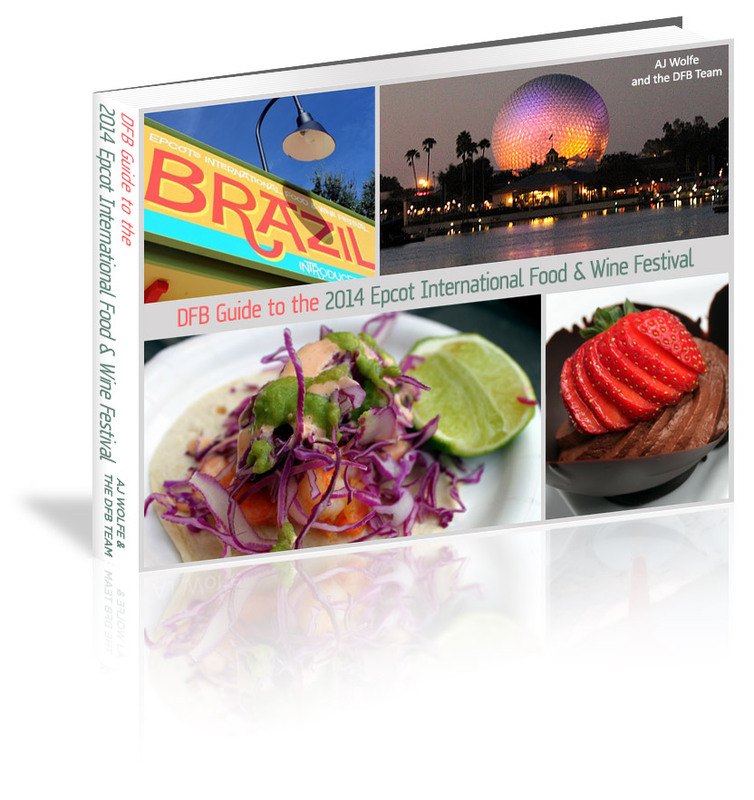 The DFB Guide to the 2014 Epcot Food & Wine Festival e-Book is now available! Start planning NOW for your trip with our expert advice, plus information on all of the Special Events, Low Cost Seminars and Demonstrations in a handy take-along format. Use code Chefs at check-out for a $3 discount! Return to the Main 2014 Epcot Food and Wine Festival Page. News! 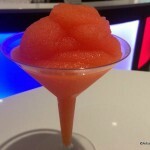 La Passion Martini Slush Debuts at the 2014 Epcot Food and Wine Festival! 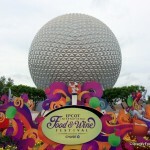 « Epcot Food and Wine Festival Opening Week — Celebrate With Savings! The lounge is indeed good news. My brother is more of a mixed drink person but this is something that will make him quite happy, and the whole goal of the trip is to convince him how cool this is. GG — If you’ve been in the Odyssey Center before, they haven’t changed much. There’s quite a bit of seating, and definite A/C in there. Wow…would love to see the list or options available. There are so many good little breweries out there it would be great if some of those small guys were available. Sure the big names will be there, the new kiosk in America has some very good options, but so many more out there! Mike — You can see the full menu, including pricing, on our Craft Beers Booth page. Enjoy! Hearing rumors that beers will be limited to 6oz pours this year, and there will be no souvenir steins. Any clarification on this? Hello and thanks for the great info! The beer prices look cheaper this year. What size are the pours? Wow… Not to be a downer, but that is a significant increase in the cost / ounce of beer. I wonder what drove this. 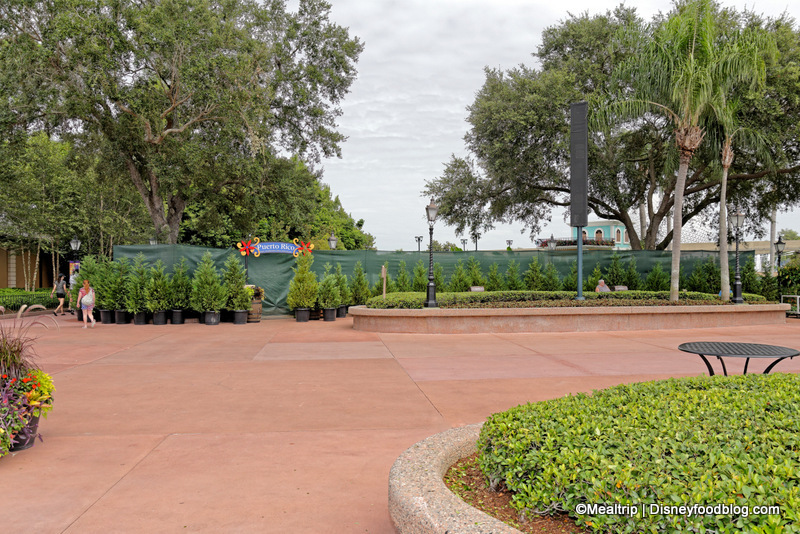 Are the standard Pavilion spots also downsizing? I can’t imagine getting less than a pint at Rose & Crown, and I’m no heavy drinker by any means. Wow indeed, $4.50 for a 6-oz pour of a craft beer is lofty, even by Disney standards. For example, yesterday I purchased a 4-pack of Dogfish Head Punkin for $9.62 ($8.99 before taxes). That breaks down to $0.20 per ounce (4-12oz bottles = 48oz, $9.62/48 = $0.20). Disney’s price breaks down to $0.75 per ounce or just a hair under 3.75 times more than retail. That is exceptionally high for beer, especially considering the craft beers on offer are not all that rare and are widely distributed. Granted, one rarely associates good-value with food and beverage offerings inside Disney, but there are still much better values to be had – in Canada for example – a 20oz pour of a Unibroue (La Fin or Trois Pistoles) is currently $10.25 or $0.51 per ounce (around 2x more expensive than retail outside the parks).